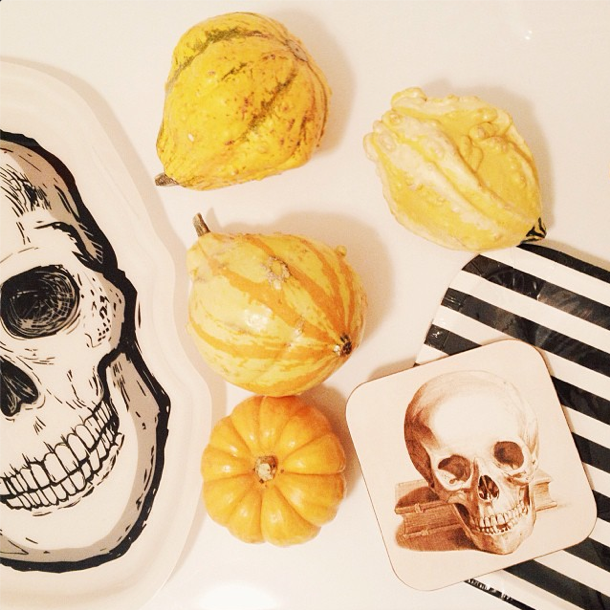 feel good time: halloween planning. Last year for Halloween, I put together a murder mystery dinner for my friends. Looking back, it had to of been my most favorite Halloween to date in my Utah days. Although, I didn't really know how much work and money it was going to be until I was in too deep and couldn't back out. It was worth it nonetheless, and my friends had a blast but I don't plan on doing it again this Halloween. Though, I MUST do something, as I live for Halloween! So I figured I would have friends over again but hold a little Halloween Potluck with halloween traditional games and monster mash music playing in the background. I want to make the mood spooky and eerie and light numerous candles and candles sticks and dim the lights!! BOO! I just want it to feel like halloween. And I intend on making it feel like so! ma' and pa' in town for a fall weekend!